Q&A with the Curator: Who’s Genji? Prince Genji, also known as Hikaru Genji, or the Shining Prince Genji, was the fictitious son of an Emperor and his favorite concubine. Ever since Murasaki Shikibu wrote the novel The Tale of Genji, he’s been a popular figure in Japanese literature, theater and art. Why is Genji, and the Tale of Genji, such an important part of Japanese culture? Over time the popularity of Genji broadened from the Imperial court to the broader public. Parts of the novel originally appeared around the year 1008, and by Murasaki Shikibu’s death (around the year 1025) the work was made into its final form of about 54 chapters. The novel’s influence has long out-lived its author who was cruicial in developing Japanese as a written language. In fact, The Tale of Genji became required reading for court poets as early as the 12th century, and she has been highly regarded as a classical writer ever since. Murasaki had a lasting impact on Japanese literature, culture and art that hinged on this novel. What can guests expect to see in our Genji exhibit? Woodblock prints. 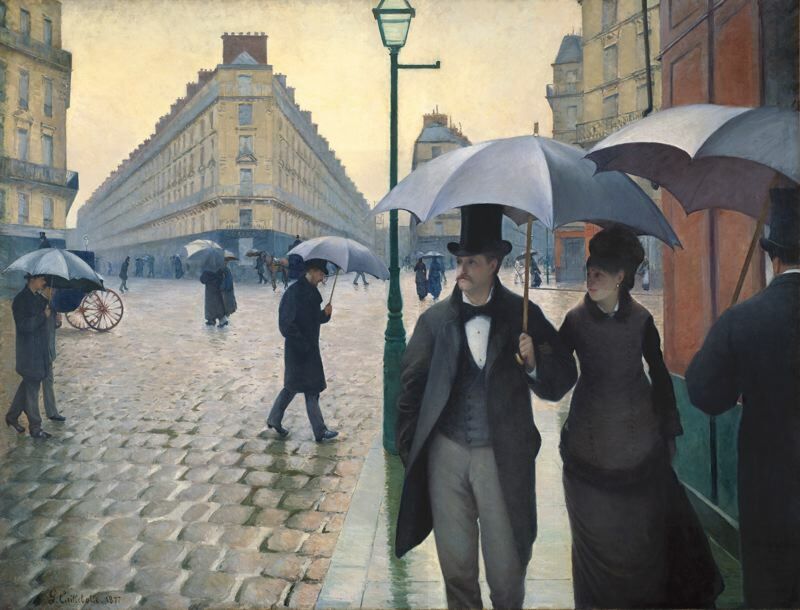 There are many great prints in this exhibit from some of the best known 19th century artists. By the 19th century Genji monogatari (or Genji epics) were tremendously popular in Japan, and while in the centuries prior many fine pieces of art were produced with scenes from the tale, most were one-of-a-kind paintings, either in the form of hand-scrolls, screens, accordion albums or scrolls. 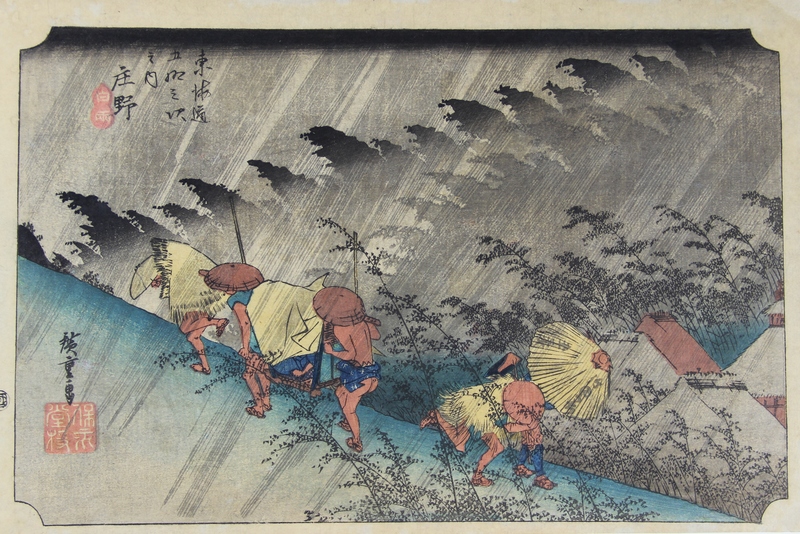 With woodblock prints, they were made available to the masses. In the 1820’s a parody, originally published as a serial (several of the booklets are on display) called A Rustic Genji by Fradulent Murasaki, generated so much interest in Genji monogatari, that well over 1000 different prints were produced in the following decades. 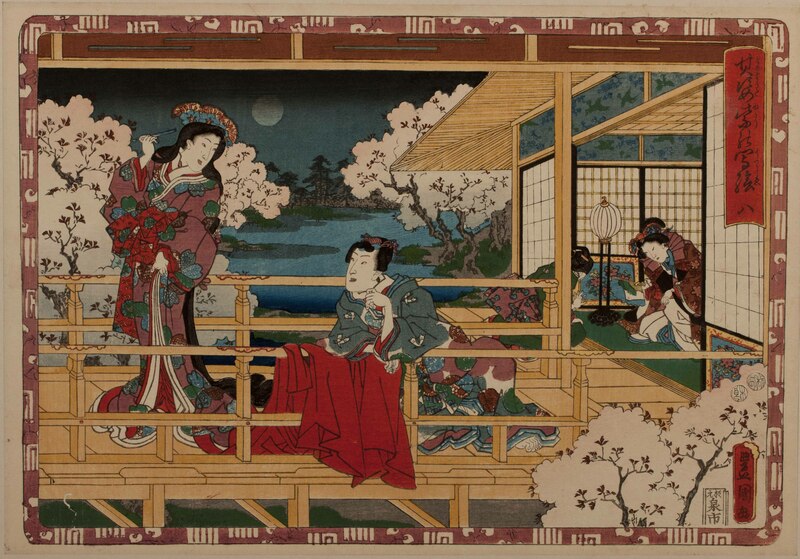 These prints depict scenes from both the original Genji and Ryutai Tanehiko’s 1820’s parody. Is there anything our guests should look for specifically (i.e. certain symbolism, images, or deeper meanings) in these prints? There are layers of symbolism in the Genji prints, so one has to be very familiar with the novels to be able to understand some of the subtle implications in some of the prints. In a few prints, however, viewers can see Genji-mon or Genji crests, which are rectilinear groupings of 5 vertical lines and one or two horizontal lines at the top. These were developed to correspond to each of the 54 chapters in the original novel, and are often placed on prints. They were commonly used in shell matching games where players try to match the two halves of a shell. One half of the shell would have a Genji mon (like the ones on the prints) and the other half would have either a verse or an image from the corresponding chapter in The Tale of Genji. Which is your favorite piece in this exhibit and why? That would be two prints depicting the winter pastimes of some ladies in waiting at the court. They are making a snow-rabbit in one and snow-frog in the other. I really like this particular print because it alludes to fun tradition that goes along with making these snow-creatures in the winter. Generally bets were placed on how long before the snow sculpture defrosted, or if they made two, like in this print, which one would last longer. Please come and see the exhibit, it is a great collection, seldom seen! We’ll also be hosting a lecture as part of our Speaker Series with Sarah Thompson of MFA, Boston. She’ll be speaking specifically about how Genji was translated to art and the Kabuki stage on April 17th. Don’t forget to check out Keeping in Touch: Culture of letter-writing in Japan, the other exhibit we have on display now, for some interesting artifacts, letters and more. Ever wondered if that object in your home is Japanese? Ever wonder if it might be an important artifact from Japanese art history? We’re here to help! Our Curator of Collections, Veljko Dujin, is back to tell you about a special program here at Morikami: Artifact ID. 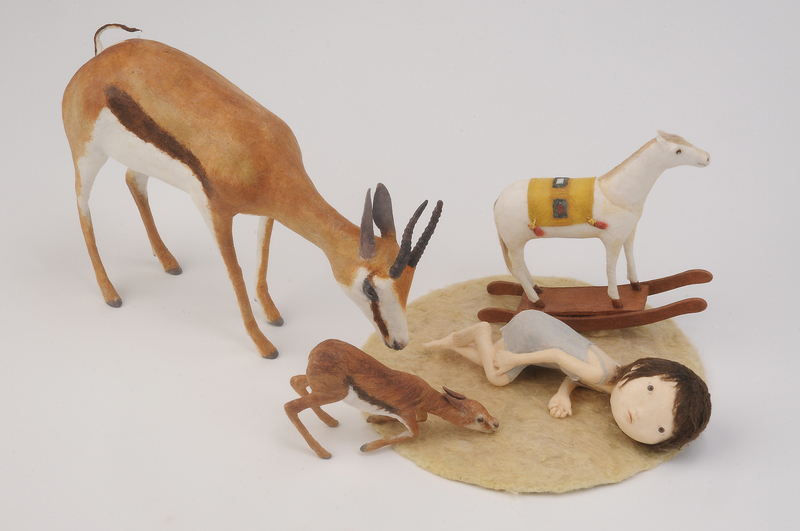 It’s free for members and just $20 for up to three objects if you aren’t a member. What better way to learn more about your little slice of Japanese history than by picking the brain of our curator? Watch the video for details, and then head over to our website to make your appointment! If you’ve ever wondered what it’s like to go behind the scenes at Morikami, our Curator of Collections, Veljko Dujin, is here to tell you. In our new series Vlogs With Veljko, you’ll get the inside scoop on all things collections (the 7,000+ pieces of artwork that belong to and are stored in the museum.) From our new acquisitions to Veljko’s favorite pieces, this new video series aims to give you insider intel on what it’s like to take a walk through the collections vault. This month we’re kicking off with a look at some our new acquisitions – an intricate lacquer cosmetic box and a famous ikebana vase. Check out the video below, or on our YouTube channel, and don’t forget to leave any comments or questions you might have about these pieces or collections in general. Who knows – your question might be featured in the next installment of Vlogs With Veljko. Enjoy! We Never Get Tired of Toys! 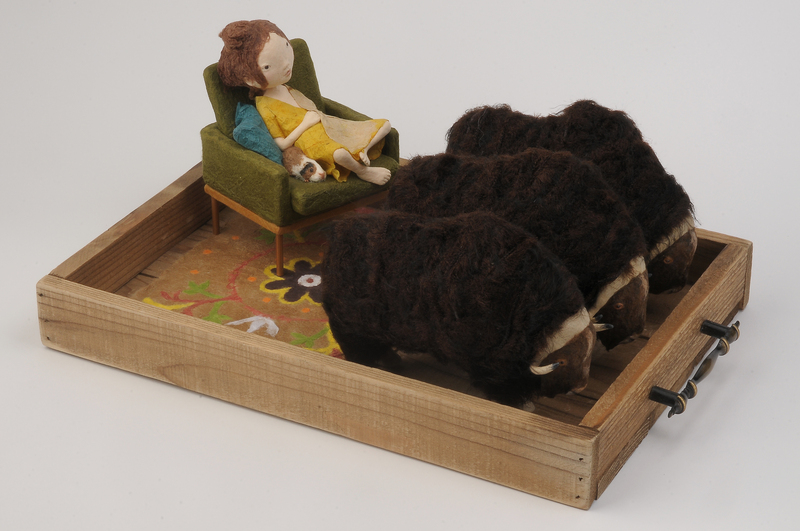 The new exhibit at the Morikami, which runs through October 17, is a throwback to a simpler, gentler time, when monsters came in the form of giant lizards or creatures from outer space that tore up cities with their giant feet and laser rays. Kaijū! Monster Invasion! features more than 100 toy figurines from the 60s, 70s, and 80s, inspired by Japanese tokusatsu films and TV shows. Remember Godzilla terrorizing the people, as they ran from his fire-breathing wrath? Before the days of 3D animation, CGI and other digital effects, it was a stuntman, in what was probably a really hot rubber suit, moving about on a miniature set. Back then, the special effects were called tokusatsu eiga, typically using an fx technique called sutsumeishon, or suitmation. 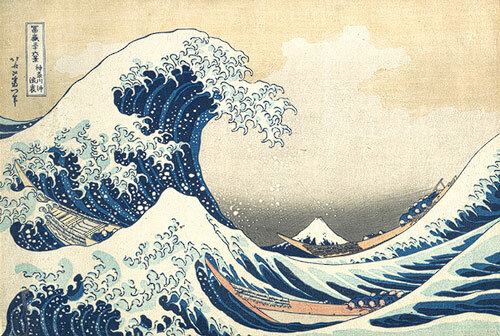 The popularity of the show, which opened June 1, is already evidenced by the 100-plus hits the Morikami’s video garnered on YouTube in only three days. Visitors, bloggers and sci-fi lovers are appreciating the loveable charm of Kaijū! Monster Invasion! I mean, seriously, who gets tired of toys? No matter the age or gender, everyone can relate to a good, plastic action figure ready to tear apart the city in your imagination. The show is actually part of one person’s extensive, private collection, so just consider it playtime with culture – over at the house of the friend who has the really good toy box. 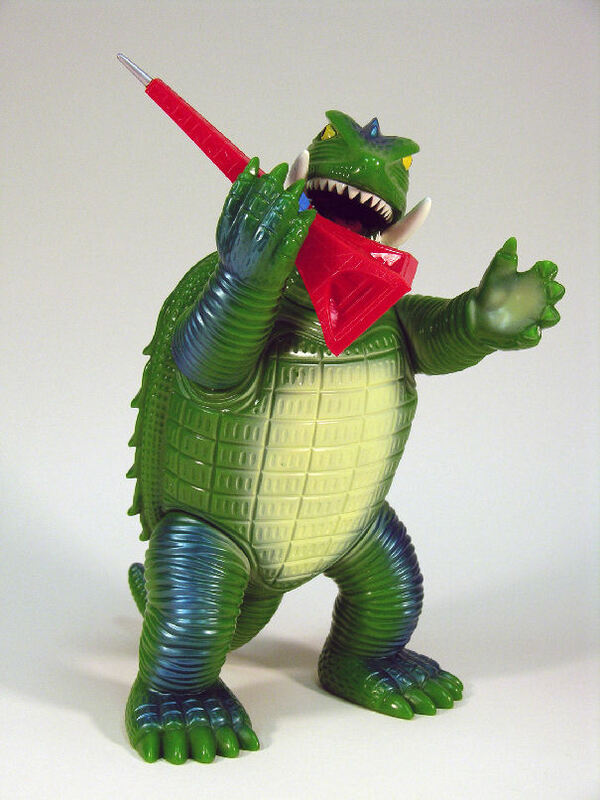 To see Tom Gregersen, senior curator of the Morikami, explain the delightful allure of Kaijū! Monster Invasion!, click here. Is it Worth the $12? 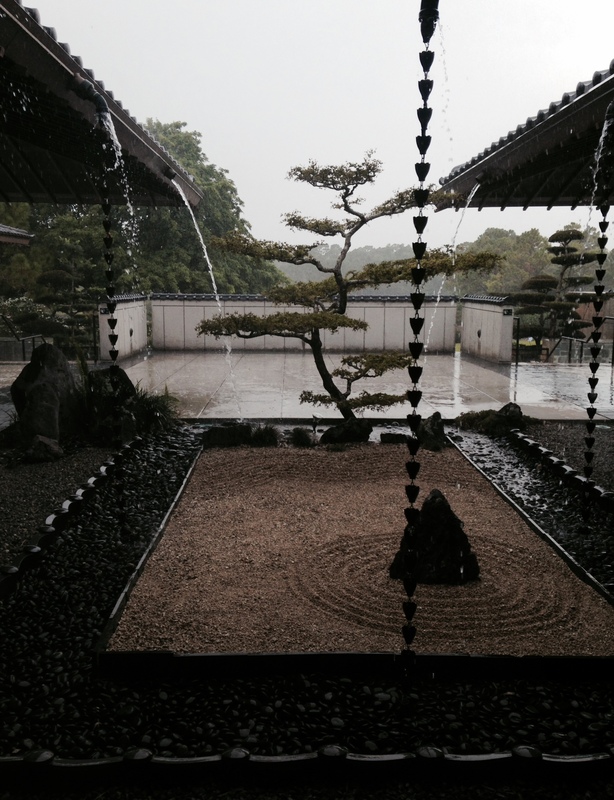 Last week, coming out of the Morikami Museum, I was stopped by a stranger. He was quickly joined in front of me by a kind-looking, petite blonde woman. His sister was visiting from out of town and was obviously ready for some form of entertainment; but since her brother was footing the bill, she was following his lead. “Well, what are you into?” I asked. “You’re an interior designer,” I said, looking at the woman. She nodded. 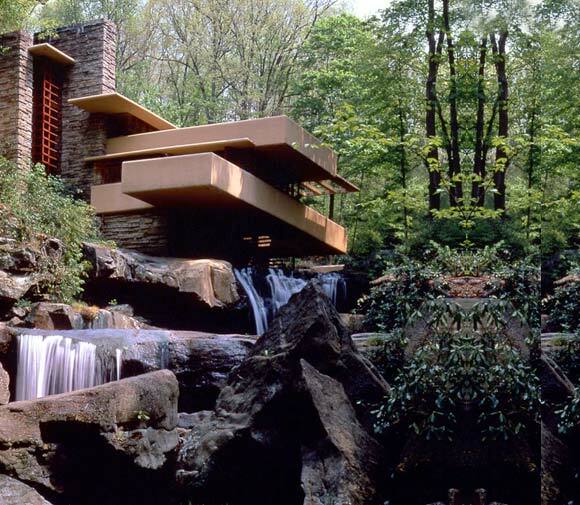 “OK, well, from that standpoint, you will definitely get inspiration for design and aesthetics from strolling the gardens. The design is not one of a traditional botanical garden, but of a more organic combination of plants and textures designed to make you slow down and contemplate their beauty. You’ll see what I mean when you walk under the canopy of the bamboo trees or sit at the raked pebble gardens or past the two waterfalls. Even the wooden benches complement the overall design. 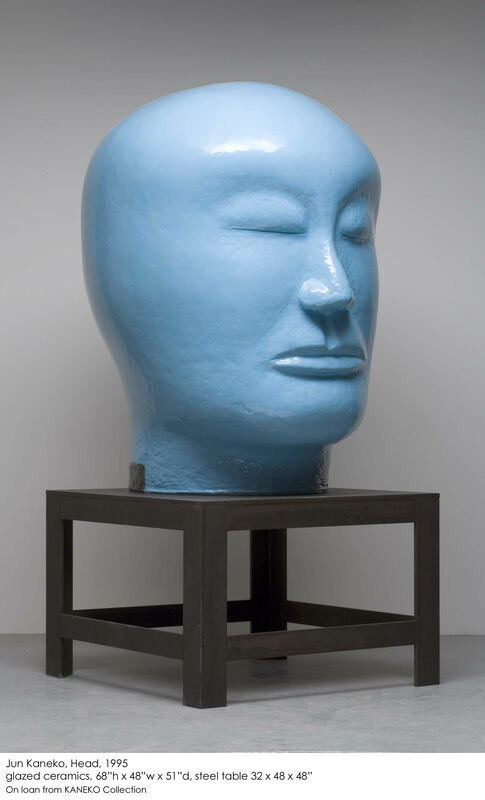 “Inside, the exhibit is of the huge sculptures of a modern Japanese artist, Jun Kaneko. 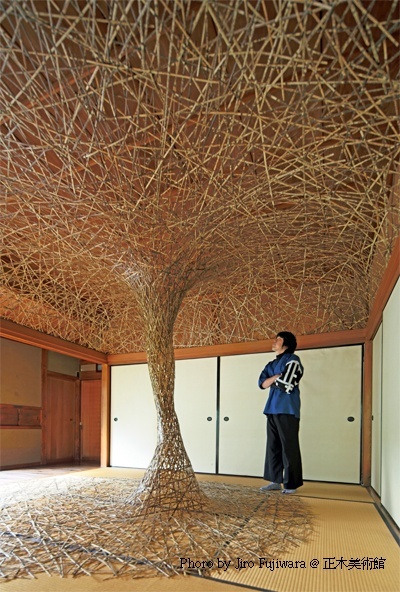 Some of the sculptures are as large as small cars, and whole rooms can be built around them. 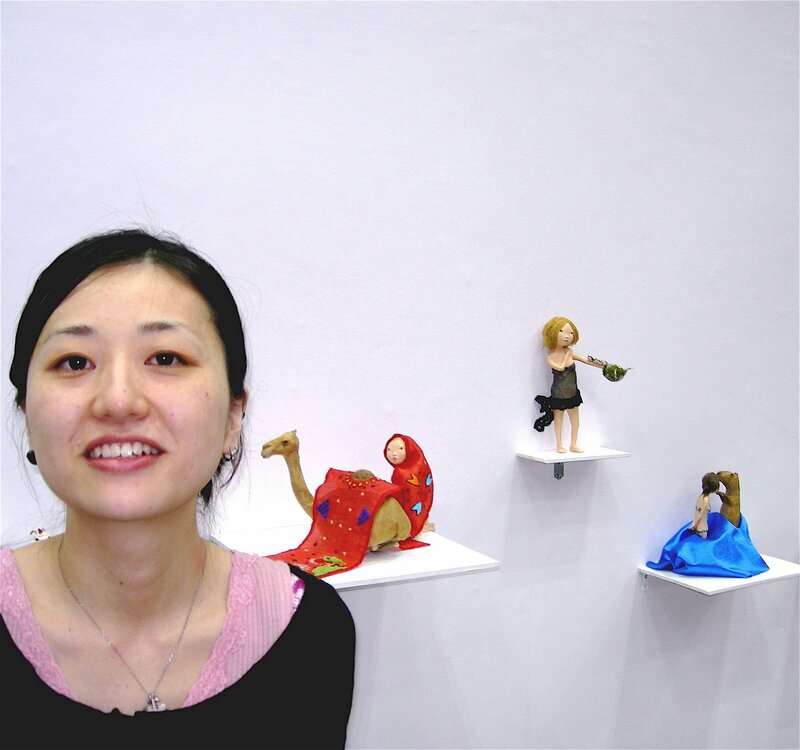 They are dramatic and colorful and really not what you’d expect from a Japanese artist. “And if you just want to shop, the Museum Store has the best decorating items. Vases, plates, bowls, wall hangings, rain chains, kimono, even knick-knacks for a little Japanese inspiration. She looked at me, then at her brother. I hope they had a good time. 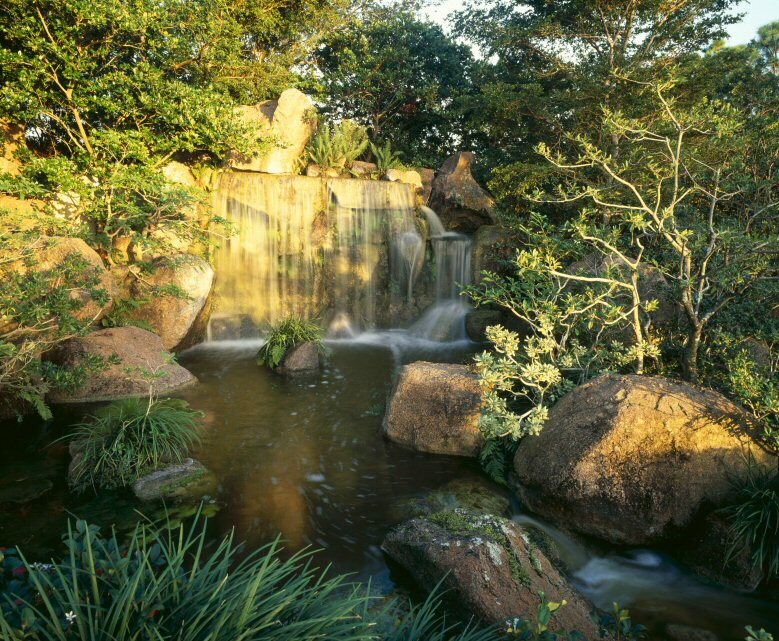 Morikami Falls is one of many reasons why the Morikami is worth $12! Tonight, Trevor Corson, Food Network TV personality and well-known sushi concierge, is speaking at the Morikami Museum and Japanese Gardens on the cultural context and origins of one of South Florida’s favorite foods. One might wonder just how much can be said about sushi. Quite a bit actually. “A local Japanese sushi chef here in South Florida said to me recently that there are more sushi restaurants in Boca Raton than hamburger joints. Sushi in America is a much different experience from that which is served in Japan. You certainly won’t find a volcano or spider roll on the menu! 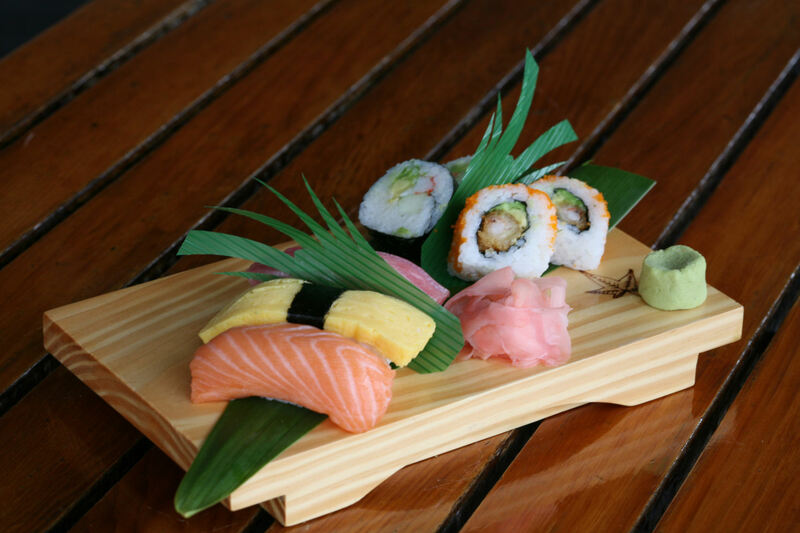 However, authentic Japanese sushi is not all about raw fish. Maki-zushi (rolled sushi), Oshi-zushi (sushi pressed in a square mold), Chirashi-zushi (topping served scattered over a bowl of sushi rice), and Inari-zushi (topping stuffed into a pouch of fried tofu) are all very popular in Japan. These forms of sushi do not necessarily use raw fish. The common denominator here is the rice. All sushi rice is vinegared rice. 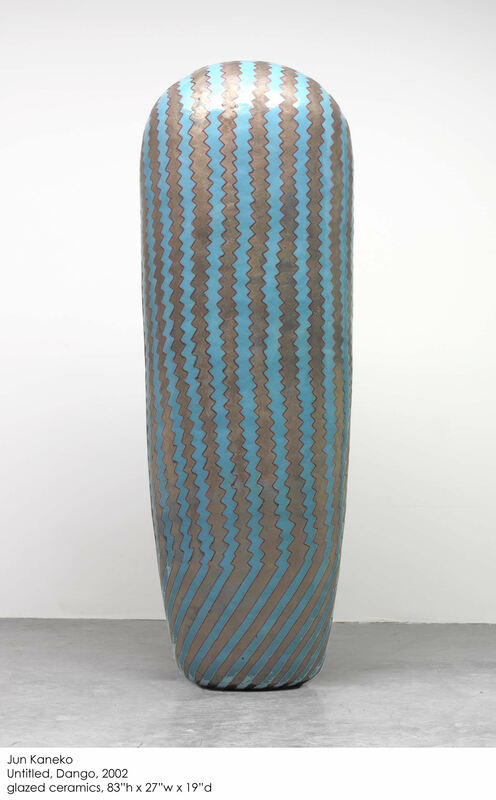 Fusing elements of abstract expressionist painting with the textural nature of fabrics and the ruggedness of raw clay, Jun Kaneko is a prolific artist who contributed to one, if not the, most innovative movement in the history of American ceramic art. From December 22 through March 7, the exhibit, Jun Kaneko, Ceramic Sculptures, Paintings and Drawings, will feature 50 works by Kaneko, an energetic contemporary artist known for his seven-foot-tall, half-ton “Dangos,” monolithic ceramic sculptures endearingly named for Kaneko’s favorite childhood treat: warm, sweet dumplings skewered on stick. Yes, seven-foot-tall, half ton pieces of hollow ceramic! One of the smallest pieces is 1,800 pounds. The man dreamt big! 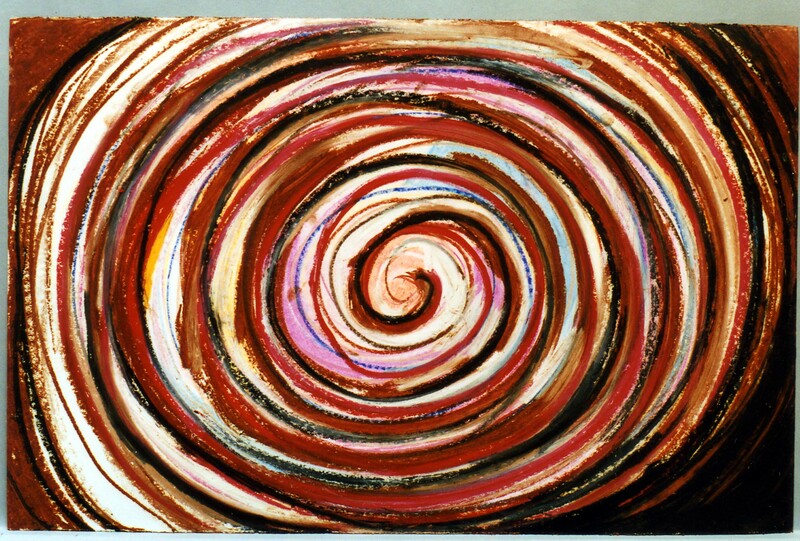 When Jun Kaneko arrived in the United States from Japan in 1963, at the tender age of 17, he brought with him a skillful, energetic painting style and an eagerness to develop his artistic impulses more freely. 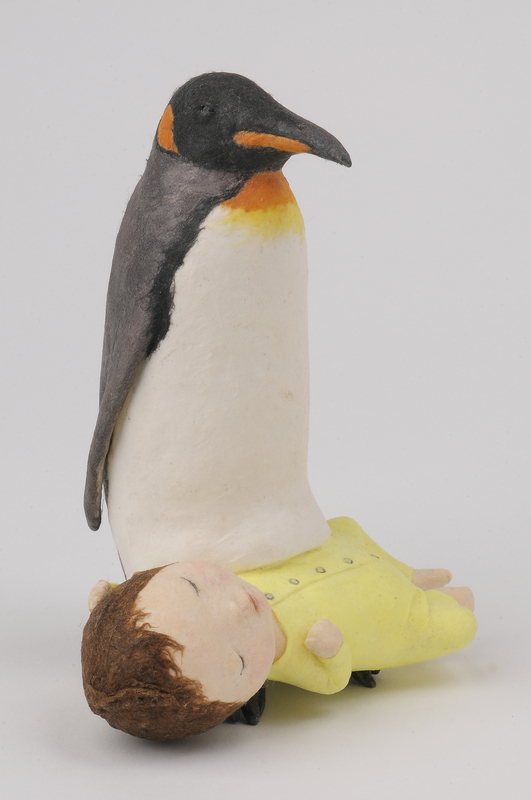 With the aid of divine intervention and the support of his painting teacher in Japan, Kaneko was welcomed with open arms into the supportive, nurturing home of Fred and Mary Marer, avid collectors of a fresh, new style of contemporary ceramics being made by a group of intellectual potters in southern California. 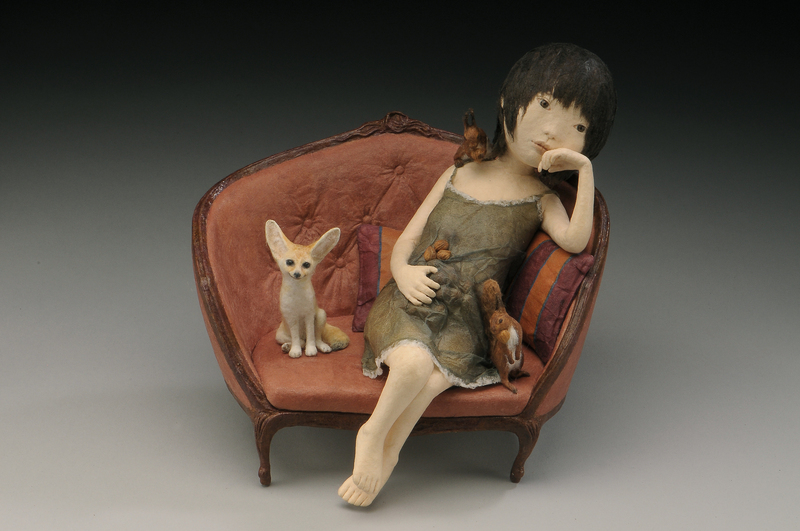 In the 1960s, ceramics was the number one industry in the state of California, and the Marers were perhaps the most devoted and passionate supporters of this experimental group of avant-garde potters that produced some of the most innovative and important ceramics of the era. Would of any of the circumstances played out differently, Kaneko’s magnificent and magical clay works might never have been realized? 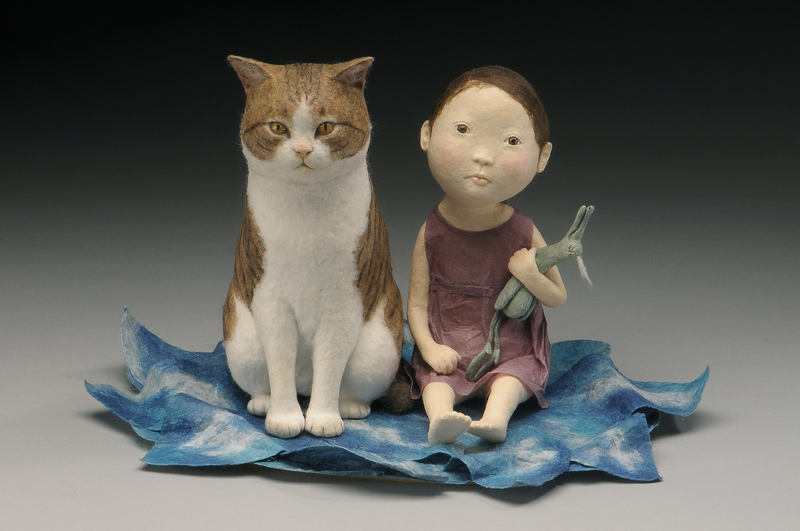 Brooks Lavallee adds that Kaneko’s contributions to ceramics is not limited to the United States, but extends also to Japan, where his work plays an important role in the study and development of new kilns and clay methods and in the shaping and formation of contemporary Japanese ceramics as a whole. 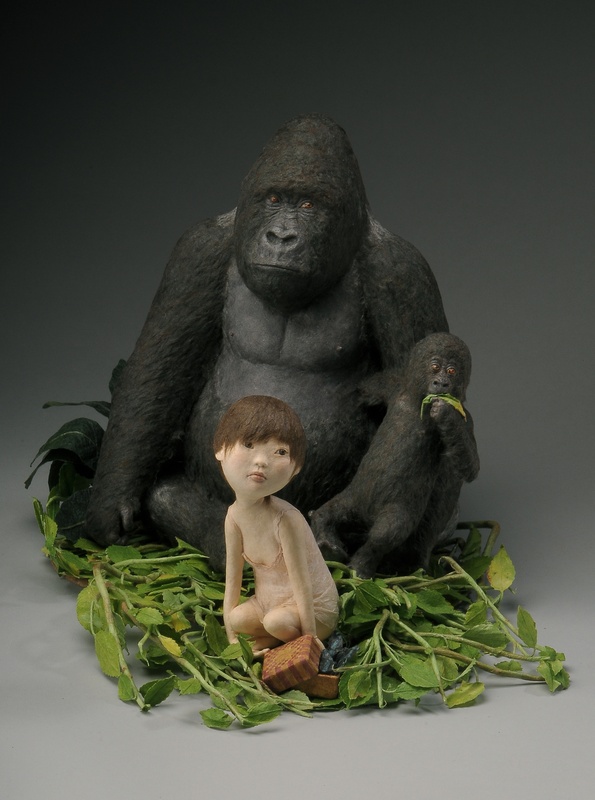 Take a peek at some preview images, then stop by The Morikami and see up close!